The Camera Lenses Phone that increases the power of Phones Camera into DSLR capture image and video. List of Best Camera Lenses for mobile Phone device that can capture images, videos and much more with full DSLR function. All latest smartphone has high pixel camera lenses with better functionality and features likes, zoom in, zoom outs, panorama views, Portrait, lens Blur, Photo Sphere, texture edits, and much more functions. Here are some most powerful ever camera lenses for Smartphones that’s really better to the inbuilt cameras. Basically, the camera lenses are one of the powerful gadgets for smartphones. Which offers to capture HDR photos and videos with new functions. They also offer to other photo enthusiasts’ activities without having the baggage of a heavy DSLR camera. 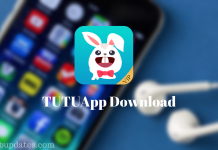 So if you really looking for the best camera lenses for your Android Smartphones then Here in this post, you will find 7 different Camera lenses for Android Smartphone and iPhone 6 lenses which are compared to the iPhone X camera quality. Select the one of below list and start capturing a picture with a different angle. 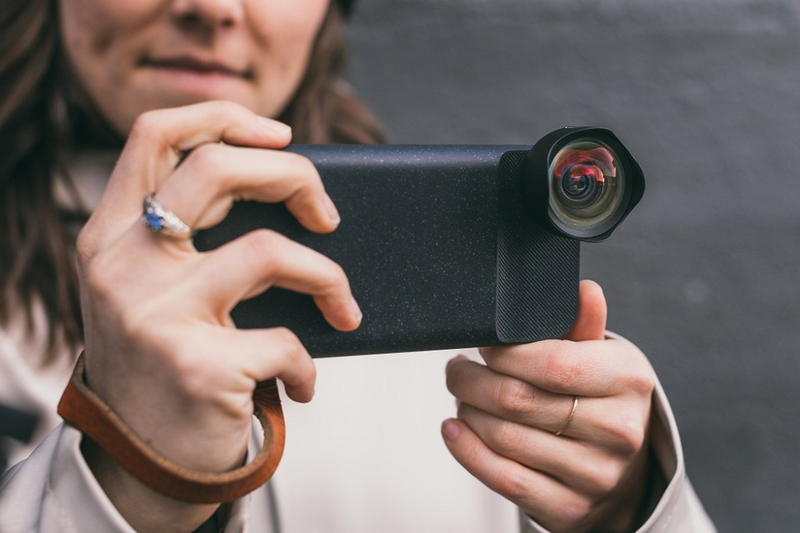 The Bujj-ond is one of the best Camera Lenses to manufacturing for a smartphone. Which offers many advanced features and functions likes you spice up your photos with the choice of three different lenses: wide angle, macro, and fisheye. Also, it’s 3-IN-1 PHONE LENSES with wide angle to capture any images. The Lenses will be able to carry it around with you everywhere and won’t have to worry about losing pieces. The lenses are made with high- quality glass with professional precision which means the quality of pictures is sound and enjoyable. 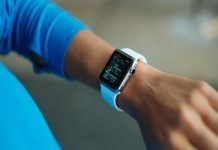 Which is compatible with most mobile electronic devices and is easy to detach and put on, so you’ll be able to switch between your tablet and phone with no trouble! Take your photos more interesting by using three different lenses! The MAXFUL Camera Lenses Phone is best offers to get compare to other brands. It’s offered to multi factions like you can easy to 198°Fish Eye Lens can shoot a visual contrast photos, Telephoto Lens 2X can shoot distance pictures, CPL lens can eliminate reflected light and create beautiful colour, 0.63X Wide angle lens can capture a wider range of photos and the last one is 15X macro lens can shoot all details of the photographed object. Well, Wide angle lens is more suitable for shooting larger scene photos. It’s a carrying case to safely and easily hold these cameras. In MAXFUL Lenses that use a high-quality material. With this Professional HD Lens to make as an advanced lanthanide optical glass that gives you clear shots every time, reducing glare and reflection. Also to Top-grade aluminium uses for increases the durability of the product and let the lens kit be your partner of photography. 5-IN-1 HD PHONE CAMERA LENS. The lenses are made with high- quality glass with professional precision which means the quality of pictures is sound and pleasant. 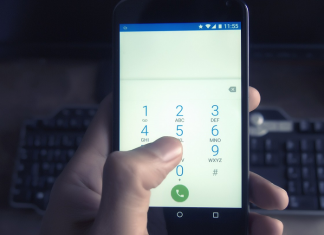 Soft rubber clip will not scratch or damage your mobile device. 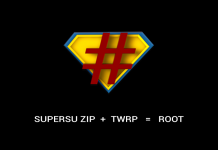 Compatible with: All Smart Phones, Tablets, and Laptops. If you are looking for a specific type of lens in sort to test the entire set, decide to choose Aukey Optic lenses. 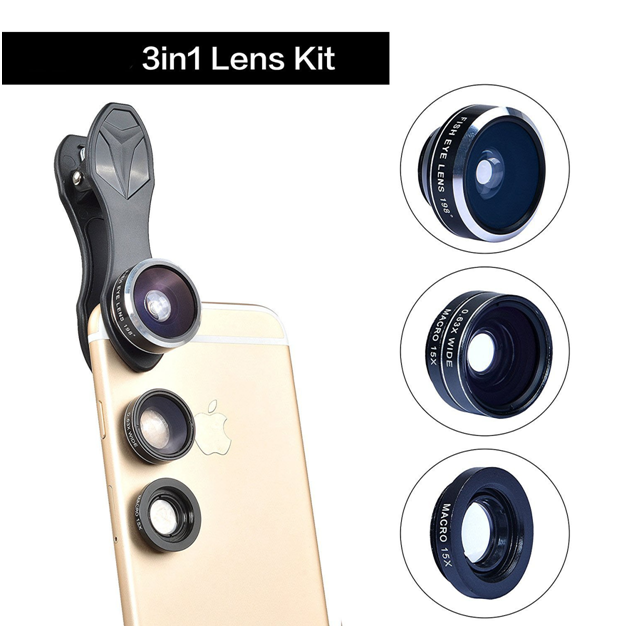 This lens is getting 3 in 1 kit that combines with a fisheye lens, macro lens, and wide angle lenses. 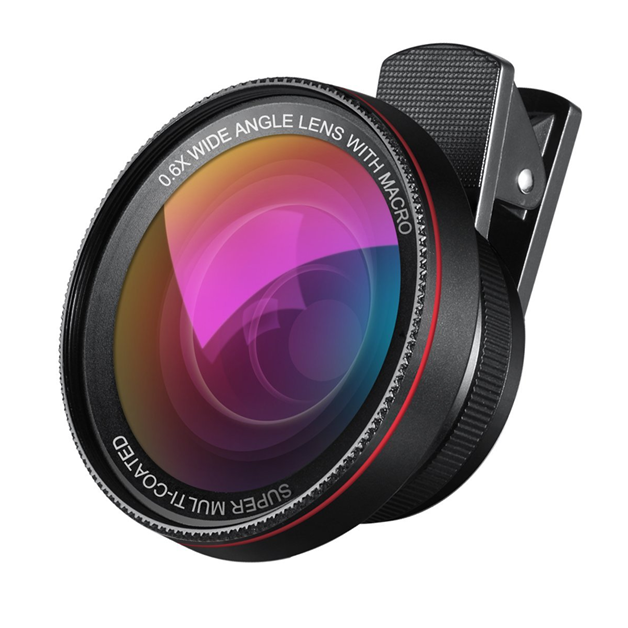 With this lens, you can take pictures to the next level with a spectacular 120° wide angle perspectives. Using this lens you get a better experiment with different effects and fields of view. And also with better performance and fit, try removing any phone case. 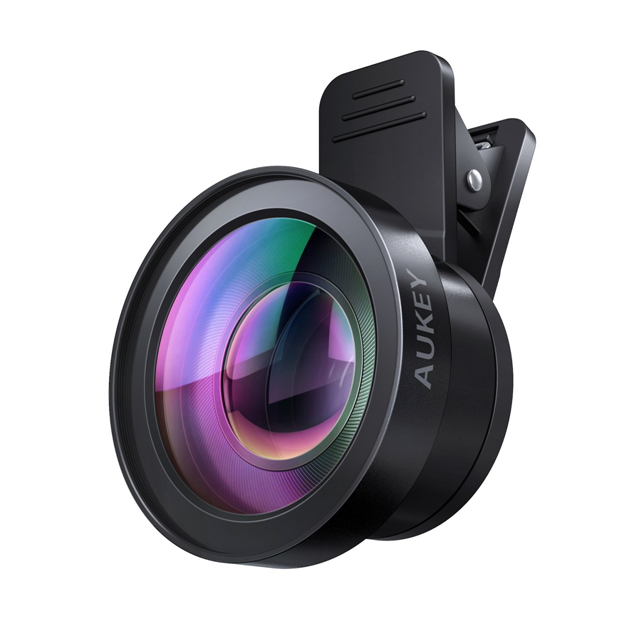 The Aunkey lens is crafted with aluminum alloy and multi-element coated glass to minimize reflections and lens glare. 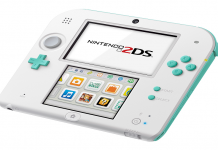 Compatible with most of all devices. 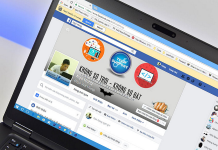 Amir is another most popular and best camera lanes brand. Which made 2 in 1 Professional HD Camera Lens Kit, This Camera Lens Kit includes upgraded wide angle lens and macro lens which is of superb quality. They apply to most brands of cell phones such as iPhone 7 6s/6 plus/5/5s, iPad, etc. Perfectly made of advanced material, this Lens Kit efficiently minimizes lens glare, reflection, ghosting and other artefacts for superb clarity. Making your photos look like as high grade as those taking with DSLR Camera. Do you want to use a mobile phone camera to shoot the effect of DSLR CAMERA？? This may be your Best choice. When you are on a visit to any place, you may see the beautiful or fancy landscape. At that time, you may want to keep them perfectly ceaselessly. It is a good choice to use this lens to make a beautiful scene when you travel far away. So get it and make a good travel experience. Professional High Definition: Deluxe-quality lens kit helps to minimize lens glare, reflection, ghosting and other artefacts for superb clarity. 6X super wide angle lens for a high definition wide-angle image without distortion. 15X enhanced macro lens for extreme close-up shots. A universal clip can attach any 37mm thread Digital SLR Pro Lens on your mobile. Easy to Assemble and Use: The wide angle lens and macro lens screw together/apart smoothly with a precision fit. 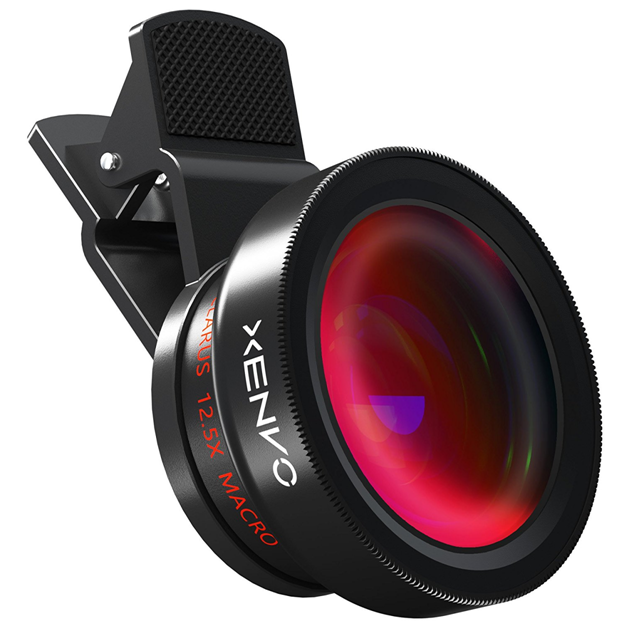 Xenvo lenses are powered by the premium optical glass, allowing you to capture stunning quality photos in high definition on your mobile devices also the high pixel camera And their camera lens is very cheaper. That made from cheap materials can actually degrade the quality of your shots. The high-quality optical glass used in the construction of Xenvo lenses prevents unwanted ghosting and lens flares from upsetting your photos. Get clear and crisp shots every time without unwanted noise in your photos. Hey, folks after reading this informative article do not forget to check out the complete list of top #15 best car dash camera front and rear where you can get some of the best dash cams along with their detailed reviews and best buyer’s guide. The trugrip clip offers SUPERIOR GRIPPING POWER to fasten your lenses to your smartphone when you’re in action mode, framing your next perfect shot. 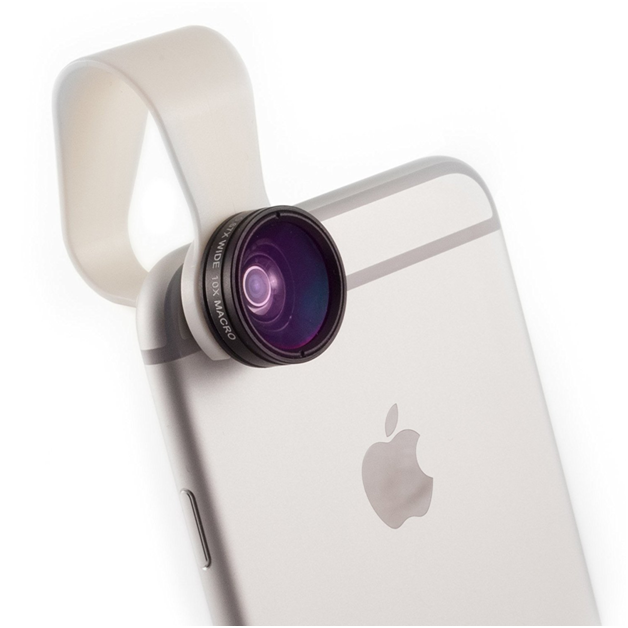 The lens clip has soft rubber pads and won’t leave scratches or marks on your phone. Also to the TruGrip Lens Clip which attaches your lenses to your mobile phone is constructed with non-slip rubber grips for a strong, secure, and unshakeable hold. Another detachable Smartphone camera lens, Gosky has built these super functional lenses that work efficiently well with iPhone 7plus, 7,6, 6s, 6plus, 5, 5s, 4s, Samsung Galaxy S6, S6 Edge, S5, Note, LG, HTV, Sony, and almost all other smartphones on the market. Also its 12X closer with a clear and bright image with 50-mm objective diameter wide lens. 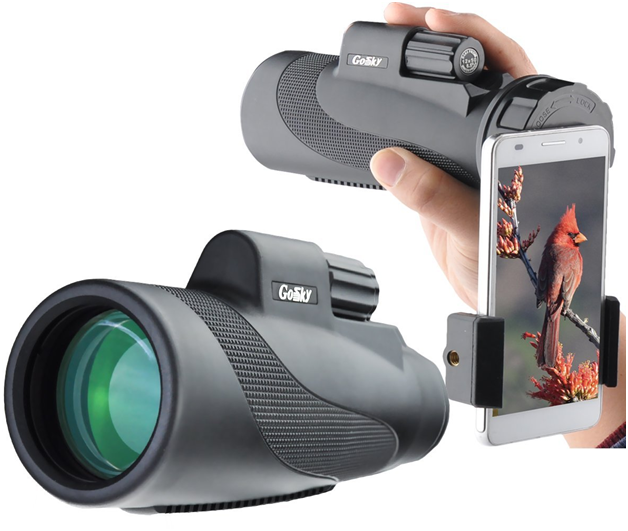 Specially designed for any outdoor enthusiast, this monocular is perfect for hiking, hunting, climbing, bird watching, watching wildlife and scenery and other outdoor activities. Waterproof, dust-proof, and shockproof design – Sealed with O-rings to prevent moisture, dust, and debris from getting inside the monocular. Use with or without glasses – Adjustable eye-cups twists up and down for comfortable viewing with or without eyeglasses. 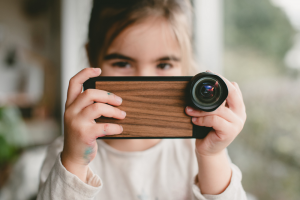 The pocket lens is taking professional quality close-up images to discover a whole new world of mobile photography where everything becomes awesome. That available for all smartphone devices from utility to quality, the brand promises satisfaction to the customer in all spheres. 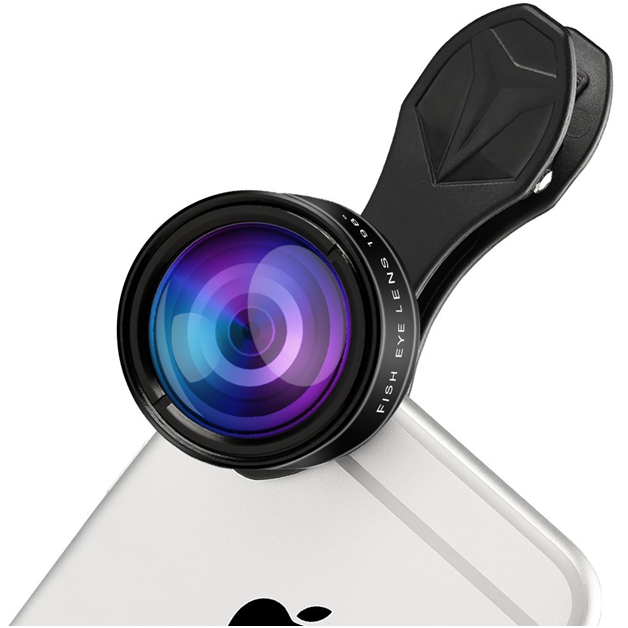 Also, it fits with almost every phone lens, front and back camera. It’s an original Pocket Lens service and quality is what makes this smartphone camera lens unique. Also, they offer to MACRO lens (close-up lens). This is going to change your level of creativity, dramatically. Suddenly flowers, insects, coins, banknotes and literally everything become awesome. This is the cheaper yet great Exelon’s. 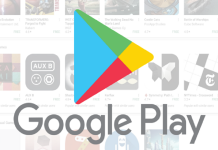 How to change my Google Play Store country?